The information here in is deemed reliable but not guaranteed. These reports are for informational purposes only and no party should take action based upon the contents of the report without consulting the appropriate professional for advice or assistance. 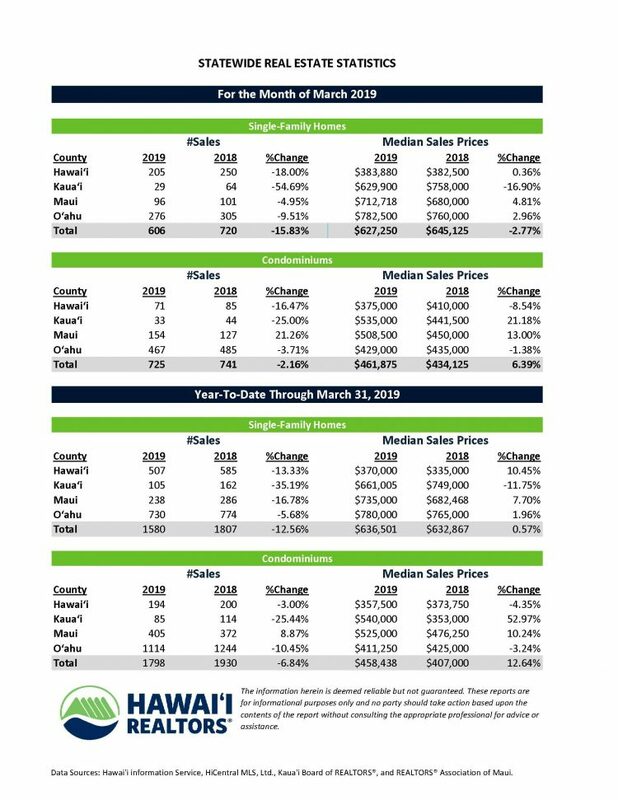 Data Sources: Hawai'i information Service, HiCentral MLS, Ltd., Kaua'i Board of REALTORS® , and REALTORS® Association of Maui.